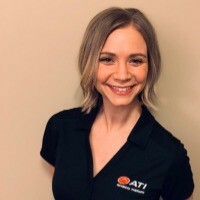 Conveniently located on Hoyt Ave in Everett, ATI Physical Therapy is the premier choice for personalized physical therapy in a friendly and encouraging environment. Known for exceptional results and an upbeat atmosphere, ATI Physical Therapy provides physical therapy and sports medicine. Alexa graduated from Washington State University in 2010 with a Bachelor of Science degree in Kinesiology. She earned her Doctor of Physical Therapy degree from the University of St. Augustine for Health Sciences in 2017. Alexa has taken several continuing education courses to gain further knowledge on orthopedic pathologies, joint mobilizations, managing chronic pain, and the treatment approach of the Postural Restoration Institute. Her clinical experience includes pre and postoperative care, musculoskeletal pain, work hardening, and postural/body mechanics education. 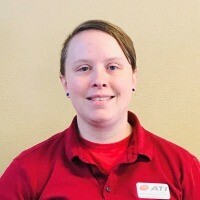 Alexa enjoys guiding patients through their recoveries so that they may return to the activities they love. Annette earned her Master of Physical Therapy degree from the University of Oklahoma Health Sciences Center in 2006. Her clinical experience includes pre and postoperative care, musculoskeletal dysfunctions, as well as sports, work, and motor vehicle related injuries. Annette has taken continuing education courses in postural restoration, Graston Technique®, muscle energy, strain counterstrain, and Mulligan techniques. She is working to become a board certified Orthopedic Clinical Specialist (OCS). Outside of the clinic, Annette enjoys traveling, recreational cycling, and fishing. 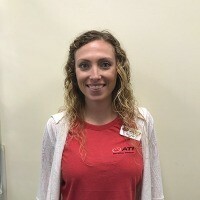 Evelyn earned her Doctor of Physical Therapy degree from Louisiana State University Health Sciences Center Shreveport in 2011. She earned her board certification in neurologic physical therapy from the American Board of Physical Therapy Specialties in 2015. Evelyn has completed several continuing education courses on vestibular rehabilitation, traumatic brain injury, running evaluation and treatment of runners, Selective Functional Movement Assessment, Kinesio Taping®, and joint mobilization. Her clinical experience includes pre and postoperative care, musculoskeletal pain, sports rehabilitation, vestibular rehabilitation, and neurorehabilitation. Gloria graduated from the University of Minnesota Twin Cities in 2012 with a Bachelor of Fine Arts degree in Dance. She earned her Doctor of Physical Therapy degree from the University of Washington in 2018. Gloria has taken several continuing education courses to gain knowledge on temporomandibular disorder (TMD) and joint mobilizations of the spine. Her clinical experience includes pre and postoperative care, musculoskeletal pain, workers’ compensation, motor vehicle related injuries, and postural/body mechanics education. 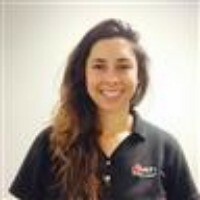 Gloria is STOTT Pilates trained and integrates this knowledge into her treatment practice. She loves putting her dance experience to use in the clinic and looks forward to expanding her work with dancers. 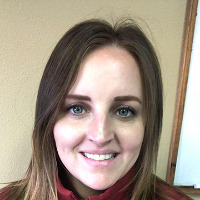 Summer earned her Physical Therapist Assistant degree from the Pima Medical Institute. She also has had training from the Postural Restoration Institute®. In addition, Summer served in the United States Air Force for 6 years. When not working, she spends time with her daughter, husband, and their three dogs. Kristen graduated from Point Loma Nazarene University in 2012 with a Bachelor of Science degree in Dietetics. She completed her dietetic internship with the hospitality company, Sodexo, in 2014. Kristen is most interested in diabetes management, autoimmune diseases, and digestive health, but enjoys working with all patient populations to improve quality of life through nutrition. She is currently working to obtain her credentials as an Integrative and Functional Nutrition Certified Practitioner. In her free time, Kristen enjoys snowboarding, kayaking, mountain biking, and hiking with her German Shepherd. 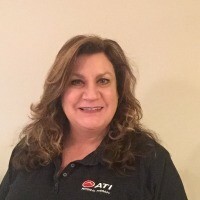 Achieving international recognition for its outcomes in workers’ compensation rehabilitation, ATI offers innovative solutions that deliver efficiencies and high levels of satisfaction. We have a simple referral process and performance-based methodology to help increase strength, endurance and cardiovascular function with the goal of returning you back to work. Call (425) 258-5330 to learn more. 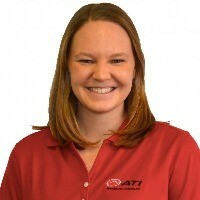 At your local Everett ATI, our goal is to help you feel better – quickly, easily and affordably. Our clinicians will develop a custom treatment plan that addresses pain, gets you moving and lowers the chance for future injuries. Plus, we’ll make it fun along the way. ATI accepts virtually all major insurance carriers and will verify insurance for you. To schedule your first appointment within 24-48 hours, or to request a complimentary screening, call (425) 258-5330. From injury education and prevention, to conditioning and rehabilitation, ATI provides on-site athletic training services to schools and clubs in Everett. We are experts in preventing, evaluating, treating and rehabilitating injuries, and will coordinate care with your physician, parents and school/club officials to get you back in the game. Call (425) 258-5330 to learn more.